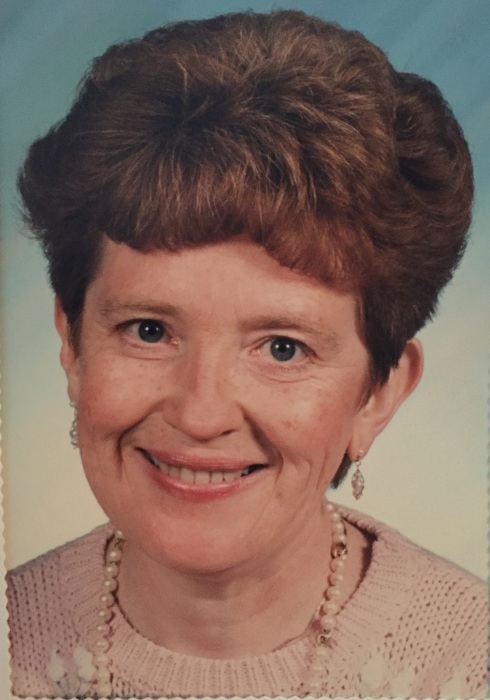 Obituary for Mary Frances Petrus | J. F. Rice Funeral Home, Inc.
Mary Frances Petrus passed away peacefully Sunday December 2, 2018 surrounded by her family. Mary was predeceased by her husband George Michael Petrus and her son George MJ Petrus. Mary is survived by her loving children Michelle Lippert (Kyle), Patricia Feiertag (Alan), Teresa Estep (William), Michael Petrus (Kathy), Matthew Petrus (Christine) and daughter in law Cheryl Petrus; Her grandchildren Rachel, Devon, Justin, Kailey, Nathan, Zachary, Jacob, Lauren, Sarah, Nikolas, Conner, Ashley, Jana, Andrew, Matthew and Victoria; and a large extended family including several nieces and nephews. Mary was born on June 12, 1938 at Lourdes Hospital. She was a graduate of Binghamton Central class of 1956. Mary loved all things musical and could be found singing in church choirs on Sundays. Her sense of humor and love of laughter will be missed dearly by all those who knew and loved her. Special thanks to Susquehanna Valley Nursing Home for their help in watching over her care but especially at the end of her journey. A funeral mass will be held on Saturday at 11am at Sts. John & Andrew Church, Binghamton. The family will receive friends during calling hours at J.F. Rice Funeral Home on Friday from 4pm-7pm. In lieu of flowers, please make donations to the Broome County Humane Society in memory of Mary Frances Petrus.